The $2 million memorial will sit in the courtyard between the War Memorial Opera House and its twin, the Veterans Building. The winning design (from the 2011 competition) features a reflecting pool with a monument rising several feet above street level. Visitors will be able stroll along the center. 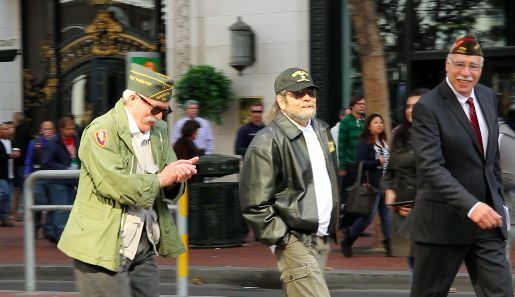 No one is bursting with anticipation more than Korean War Veteran Wallace Levin who spoke to me during this year’s San Francisco Veterans Day parade — an event that this year paid special tribute to the 60th anniversary of what has long been labeled, ‘the forgotten war’. November 19, 2013 in Video Postcards of San Francisco.